In telling the story of the 320th Barrage Balloon Battalion, Hervieux offers a vivid account of the tension between racial politics and national service in wartime America, and a moving narrative of human bravery and perseverance in the face of injustice. Linda Hervieux is a journalist and photographer whose work has appeared in publications including The New York Times, the New York Daily News, and The Daily Beast. A native of Lowell, Massachusetts, she lives in Paris, France, with her husband. This is her first book. 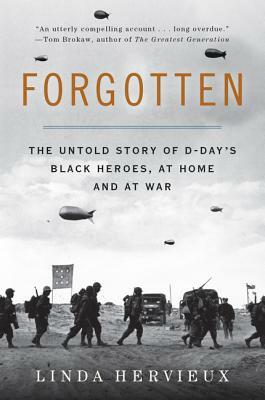 Thrilling… Forgotten manages to weave the intricate complexities of history into a clear, convincing text that is accessible to both the layperson and the history buff. Here is a stunning achievement that will add much to the historical scholarship of our country.